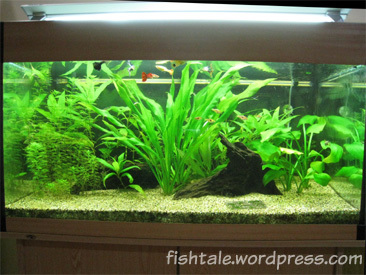 New fishes and plants have been added recently, with slight adjustments in the setup too. 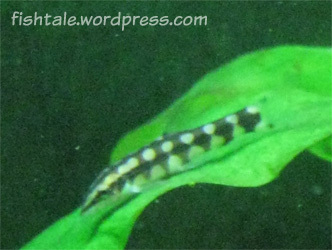 We have just bought two Garra Flavatra at S$2.50 each (a drop in price from $5.00 a year back) as Cat loved Garra a lot. 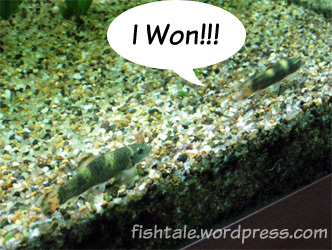 Though we are unable to revive the Garra we both liked, this is as much as we can do. 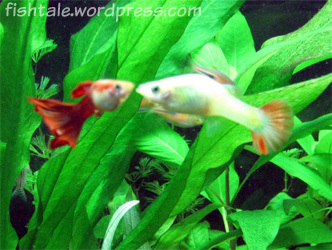 These two Garra were very active upon entering the Main Tank, swimming around to explore the area. Unfortunately, they appeared to be rather aggressive and seemed to be disturbing some of our existing inhabitants, such as the SAE and the Leopard Corydoras. Hopefully this won’t be too consistent and cause stressed to the fish. 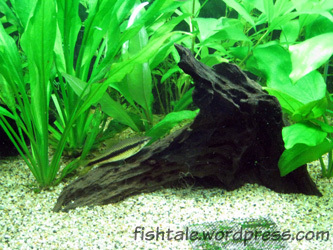 One Chain Loach died recently, after noticing that it had grown extremely thin. We were not sure what went wrong, as the other two were still living happily. Hopefully these two will continue to stay healthy and help control our snails population (they have been doing a great job on this). 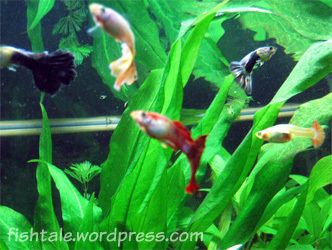 Our guppies have also been getting along well with one another, and are often seen together as a group. Our eldest guppy, Pretty, is still appearing healthy despite her age, but she had started to hunchback a while back. Guess this is just part of growing old. 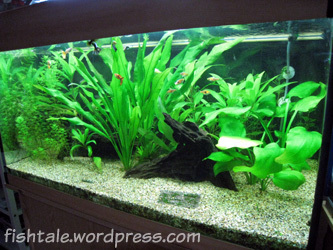 As for the plants, most are doing quite well, though there are occassional ‘melting’ leaves and growth of algae. We will just observe and let the plants grow on their own for the moment. A tank of fishes, a tank of stories. 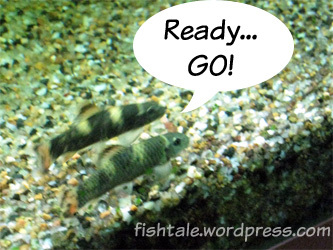 We are a couple from Singapore and started the fish rearing journey with our first tank on January 2007. Blood Streaks on Goldfish’s Tail? Revamping for the Chinese New Year!